Local citations, or backlinks, if you haven’t heard already, are one of the best ways to boost your SEO. In particular, NAP citations are of tremendous value when it comes to ranking your site higher in the local market. The higher quality the backlink the more impact it will have on your Google rankings. Everybody can use more backlinks. We took a small sample of Perth and Melbourne based small businesses and discovered that over 70% of them had less than 10 backlinks when you should be looking to build these up in the hundreds or thousands. We’ve put together the top 10 backlinks that you can get from local listing sites that any Australian small business should be listed on. Do a bit of DIY search engine optimisation and you’ll find your business website starting to rank higher on Google local search results. Keep up your link building and local citation strategy and with a bit of dedication you’ll soon begin to show up on the “Map Pack”, the three highly sought after spots on the local maps section, a business owners digital marketing dream. If all of this backlink building is too much for your startup business, talk to us about local SEO. How Do I Rank Higher With Local SEO or NAP Citations? One of the few ways Google can really judge whether your website is worth its salt is by checking how many other websites and pages refer or point back to you. This could be a link attained through a forum where a user is sharing a valuable blog article you put together or a positive social signal like having your website listed on your Facebook page, maybe a mention in a newspaper or local community article. The higher the authority of the website that refers back to you, the juicer the ranking gain is from each link. Having a healthy network of links pointing back to your website will help you accumulate authority and credibility for your own site. This is measured, for example, by Moz through the DA (Domain Authority) scale as, however, this is not a metric taken into account by Google. What we can assume though is that a link from a local government website is most likely going to be worth a lot more than from your local buy and sell directory or some spammy blog website that you found where you could leave a link to your website in the comments. Building on quality links is far more important than building lots of spammy links. How Can My Business Appear On Google Local Maps Result? Setup a Google My Business account and claim your business. Make sure you’re verified! Make sure that your NAP information (Name, Address and Phone Number) is always listed exactly the same as it is on your website and on Google My Business. Consistency is key! Get a few reviews under your belt on Google. Ask previous customers to leave you a review. You can also create a link that points people directly to your reviews section. This is highly powerful when embedded into your email signature. Optimise your website for the local search term you want to appear for. This could include terms like “Search Engine Optimisation Perth” or “SEO Packages Melbourne, Victoria”. Google needs to know where to place you. Begin to build backlinks and NAP citations on key local citation and web directory sites. Make sure your information is consistent with your site and your Google listing. Continuing to build on quality content on your website will sooner or later result in high quality backlinks without you even knowing it. What Is A Local Citation? How Do NAP Citations Help My Business? Local citations are any mention of your name, address and phone number (hence the NAP abbreviation) online. These can be from anywhere really, local business directories, Facebook and other social media accounts, client sites or websites and apps. NAP citations help users find you, especially if the local listing is on a popular website like Google My Business, the Yellow Pages etc. They can also help and positively impact local search engine rankings. Wider Web – blog sites, news sites, maps, databases etc. The wider web is where the biggest amount of time will ultimately be spent. These are the ones you can influence quickly and by yourself. So boost your local search engine ranking with a bit of DIY SEO citation building. 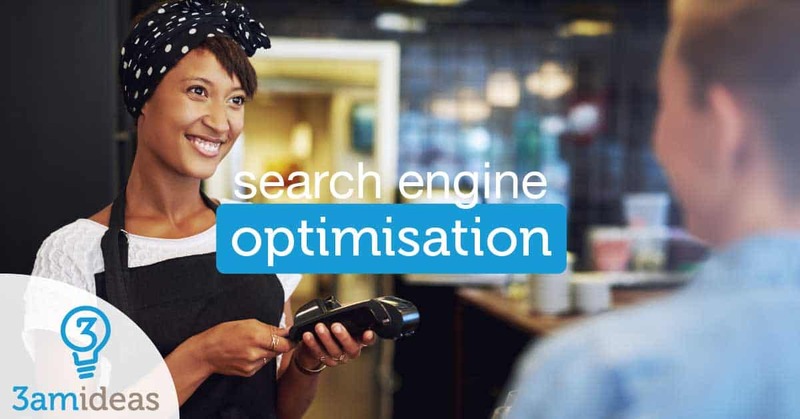 We get to work on a lot of small business search engine optimisation. This means we’re usually working with relatively small budgets and extremely high expectations of SEO results. Finding the right backlinks that will give our clients the boost is critical in retaining a working and profitable relationship for everybody involved. We’re building local citations for a good amount of time every week. So rather than wasting your time with Joe Blogs websites that haven’t been updated since 1998, just follow our list of Aussie business backlinks. Getting to list your NAP citations as well as your website address on a quality website or directory like Yellow Pages will always benefit your ranking. Building citations and generally optimising your website content for search engines can be a tedious process. It’s a headache constantly building links, and we haven’t even started to talk about content marketing for SEO. Another common tactic us search engine optimisers use are tools to find your competitor’s backlinks and subsequently making efforts to duplicate these for your own business. You will eventually want to consider all of these for your business if you’re relying on website traffic gained from organic searches. The internet is full of great information on DIY SEO for your business, just be careful of information that might be outdated. Google regularly changes and updates their algorithm so what was relevant in 2012 might no longer be relevant today and could actually end up having negative results. If you want a professional SEO to take a look at your ranking and if you’ve already exhausted all the free citation tools and guides out there why not reach out to us for a chat, call 3am Ideas on +61 8 6160 5977 or email us for a free consultation. We build search engine rankings for the long term. If you’re wanting a bit of help with your small business marketing or with your local search engine optimisation, we’d love for you to get in touch and challenge us. If you’re not quite ready, or sure, we also offer a free 1-hour consultation, where we sit down with you and go over everything you have in place at the moment and what you might want to consider implementing over the next 3, 6 and 12 months. We are a Perth-based digital marketing agency for small businesses and startups. We utilise online marketing tools like web design, social media marketing and search engine optimisation (SEO) to grow Australian businesses.